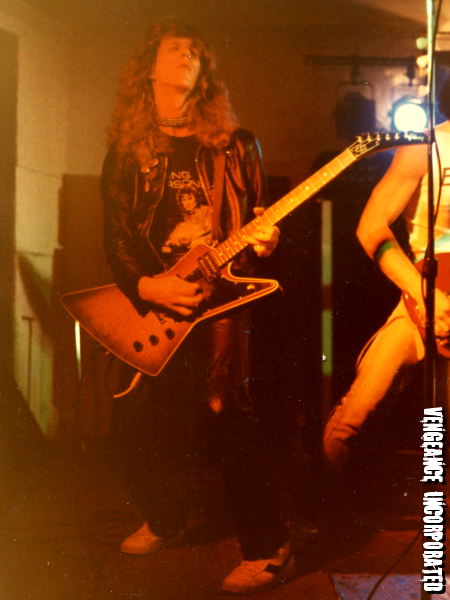 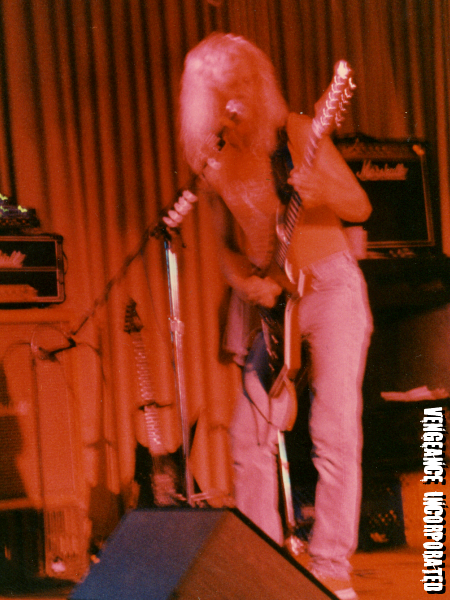 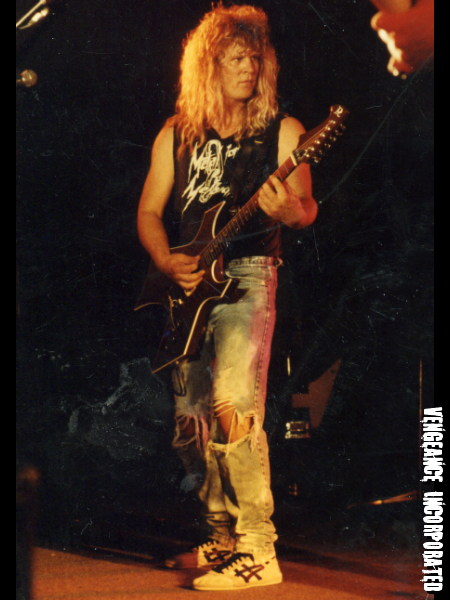 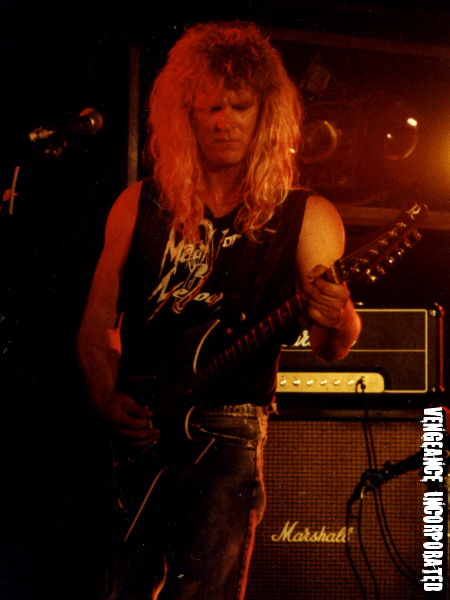 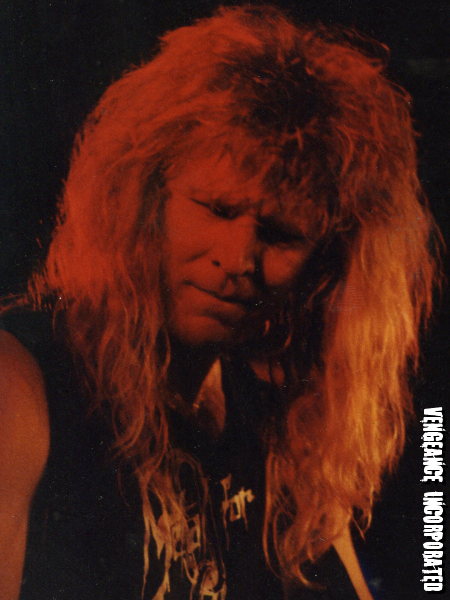 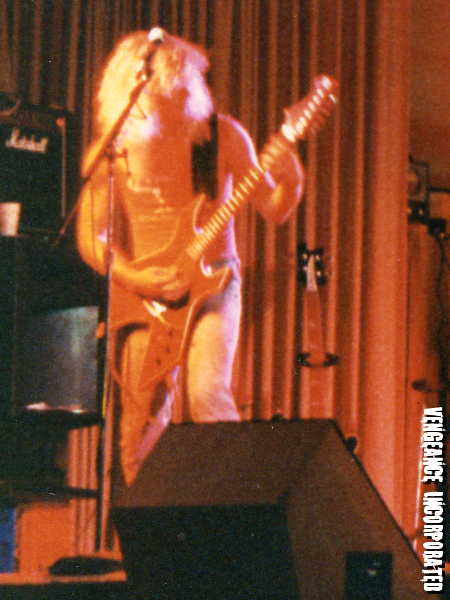 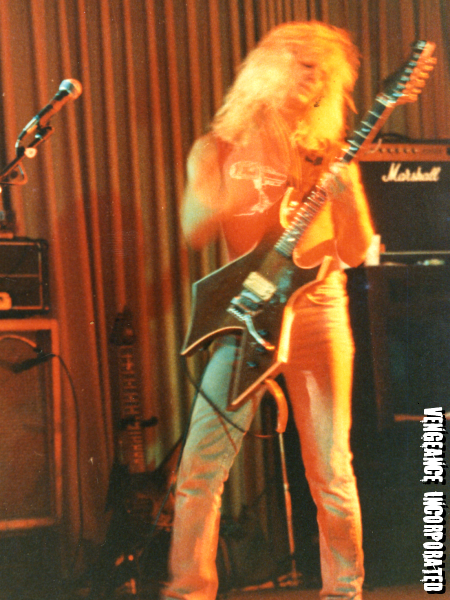 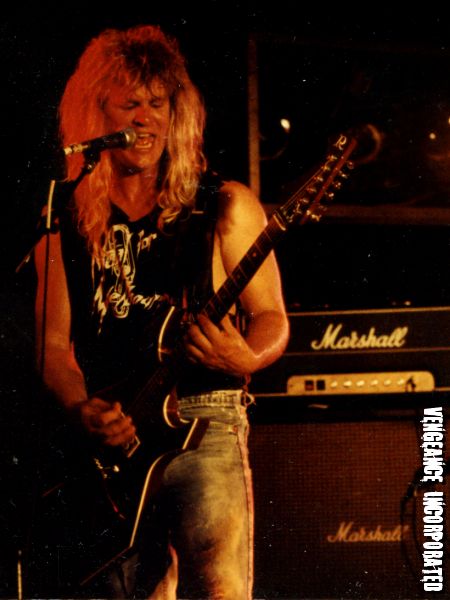 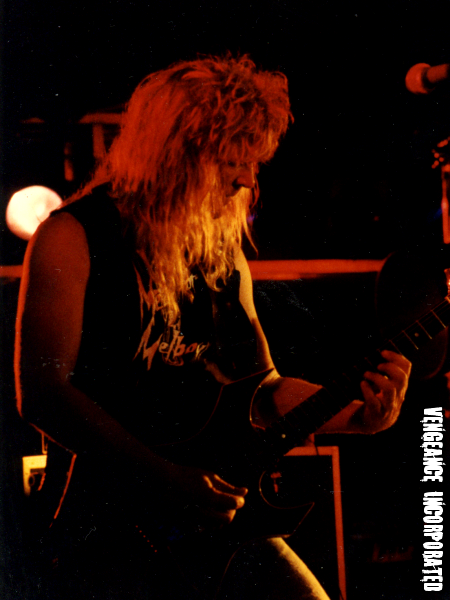 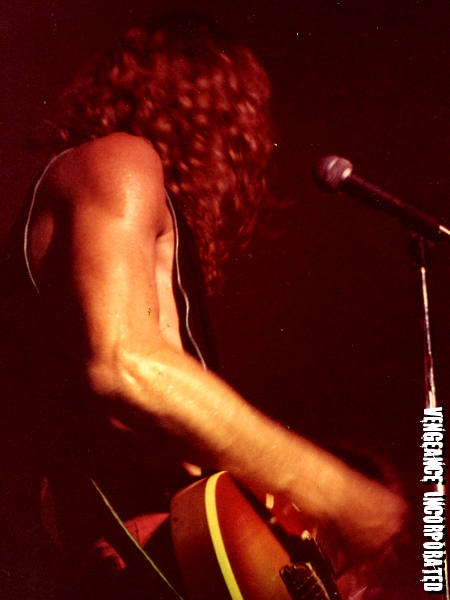 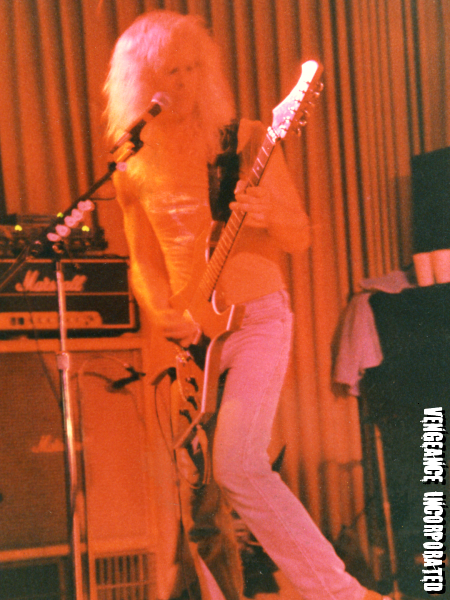 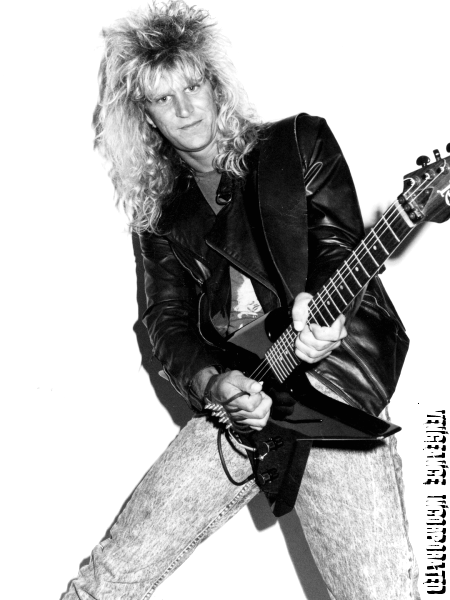 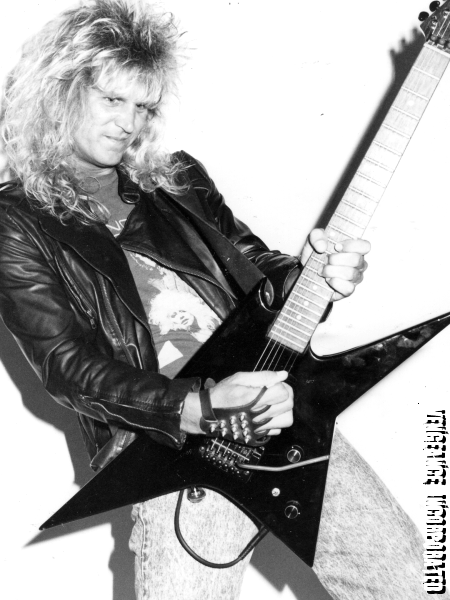 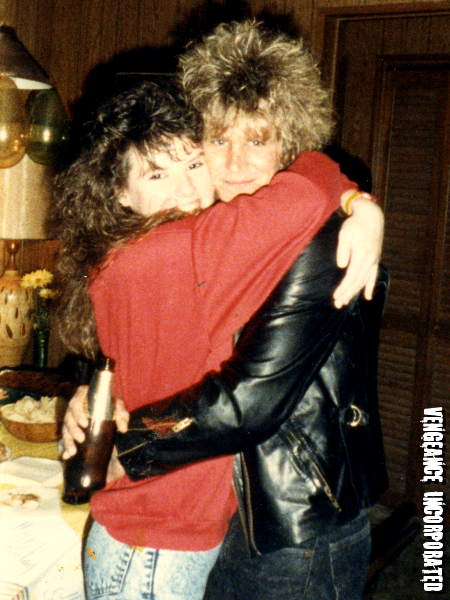 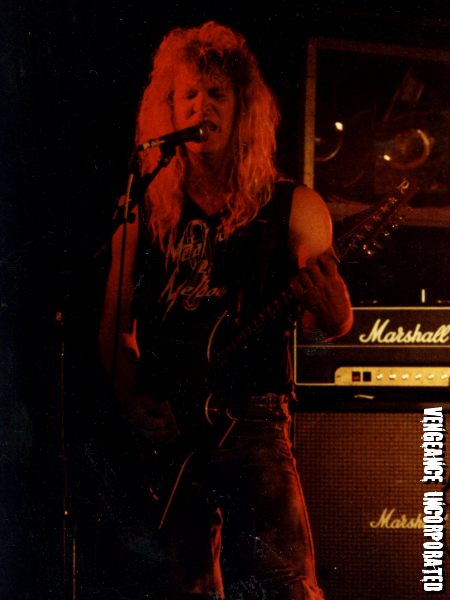 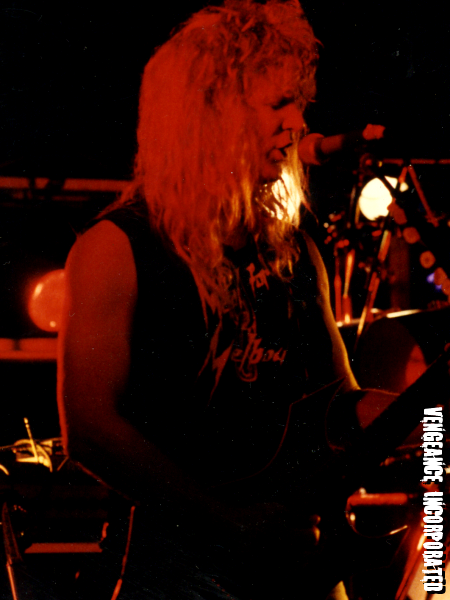 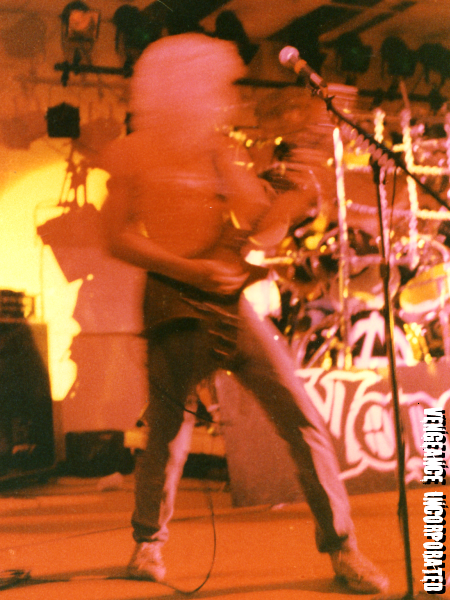 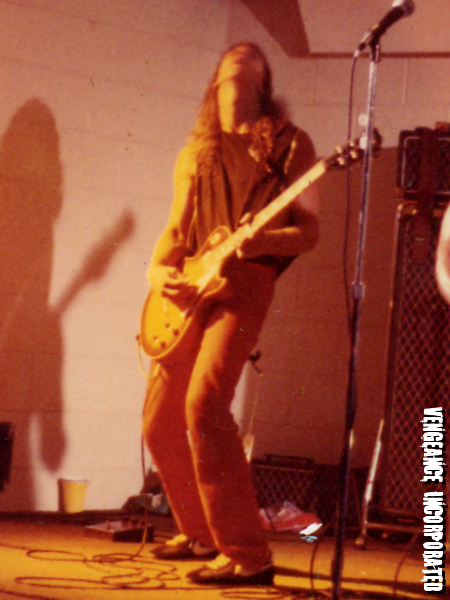 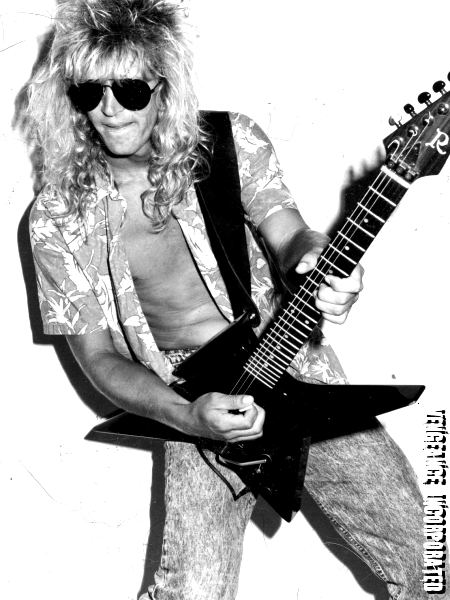 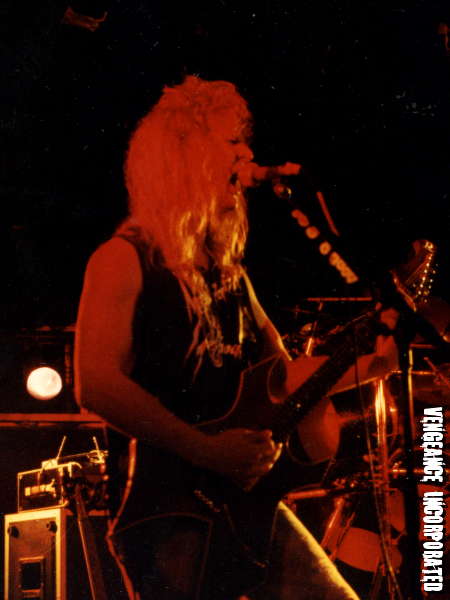 Mike originally joined Vengeance in the early 80’s as one of the two co-lead guitarists, along with Guy. 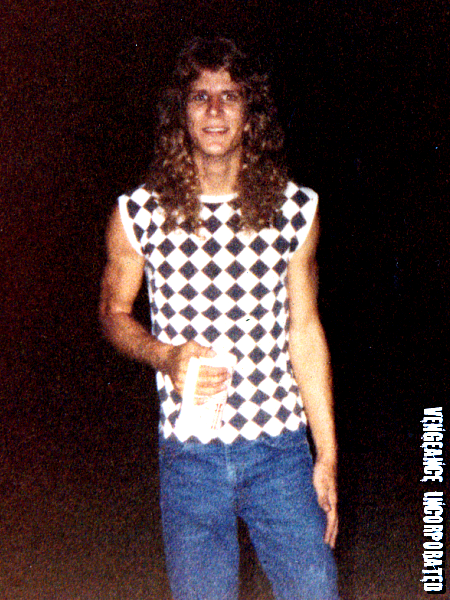 They played keggers then the Tampa Bay bar scene until Mike left to join Brat, another local band. 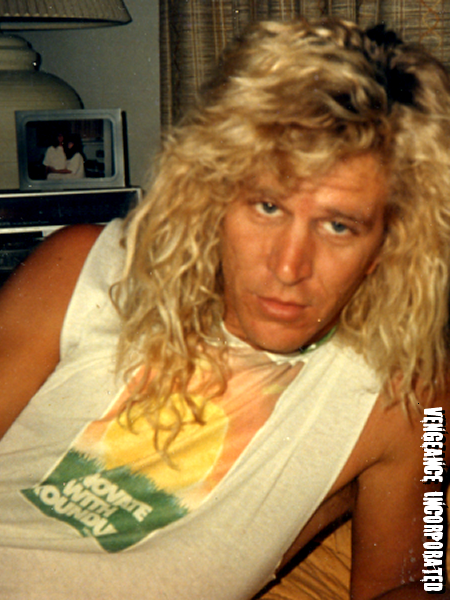 After a stint with Brat, Mike quit playing entirely for a year, then started several studio projects with Guy. 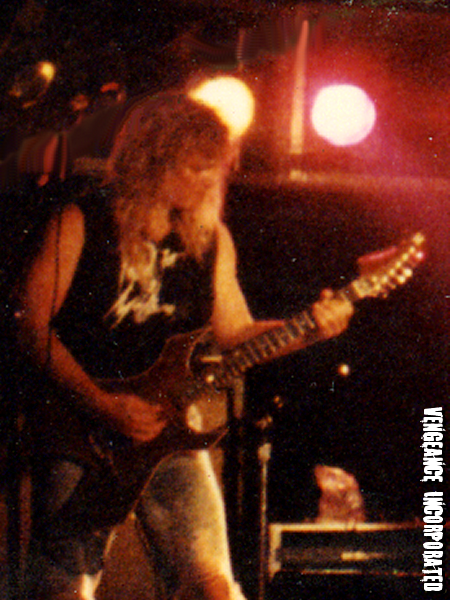 Mike helped out with the production and background vocals on Vengeance’s first studio project and eventual demo, Predator. 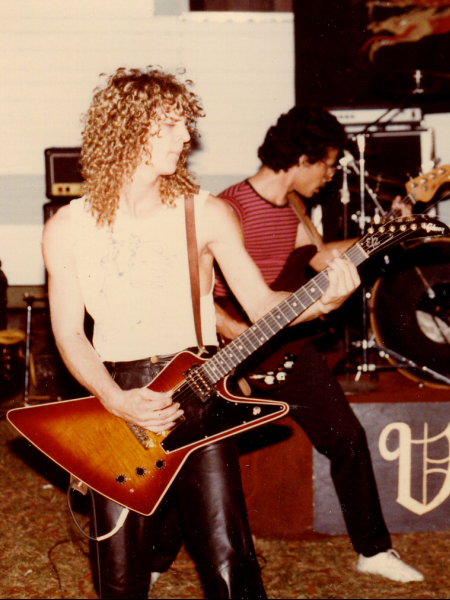 Then, while recording Malicious Intent, Guy asked (begged) Mike to rejoin to fill out the unsatisfactory rhythm tracks temporary lead guitarist Nick Simmons was laying down, using full chords instead of deadened power-chords, ruining the flow of the tracks. 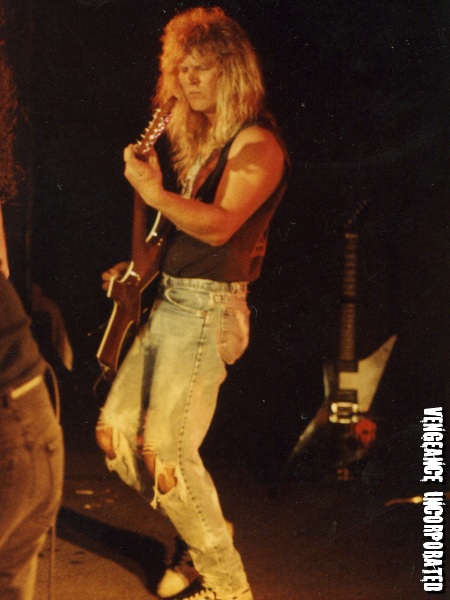 Mike ended up re-recording almost all of Nick’s parts, leading to the band deciding to replace Nick with former lead guitarist Curt, who had recently moved back from Alabama. 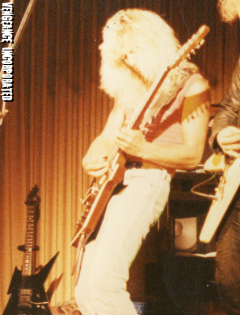 Mike has been playing guitar since the age of ten, when he received his first electric guitar, a ’62 Gibson Melody Maker, which he still owns. 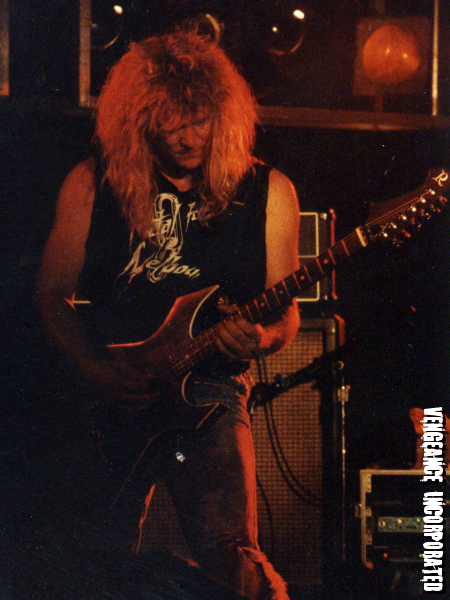 Mike has an instinctive feel for metal, helping to lay down the solid rhythm section of Vengeance as well as joining Curt on many double lead harmonies and solos of his own as well, on all the Vengeance recordings. 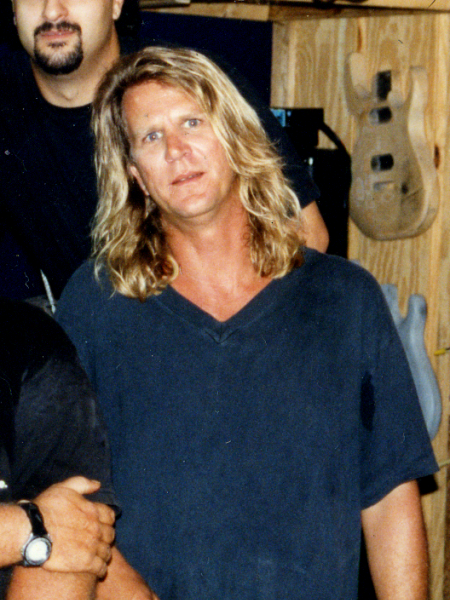 He wrote or co-wrote many of the songs on Bad Crazy, and two on Love Kills. 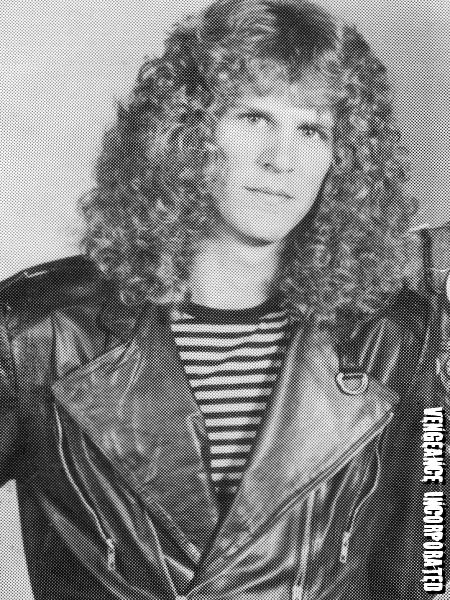 After Curt left in ’96, Vengeance decided to reform as Screamin’ Weasel, playing cover tunes in the local Tampa Bay bar scene. 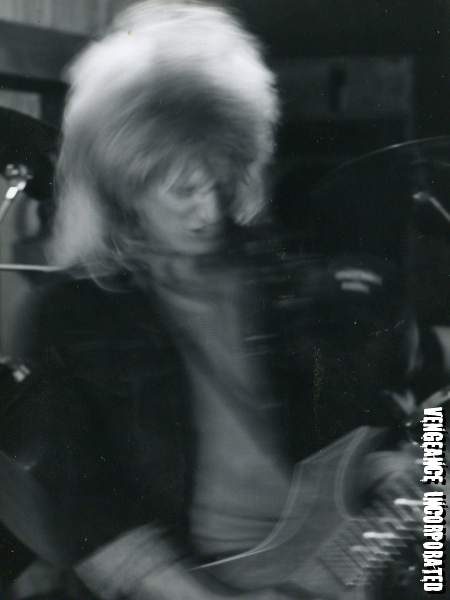 They added a bass player and Guy switched to acoustic and electric guitar while staying on lead vocals. 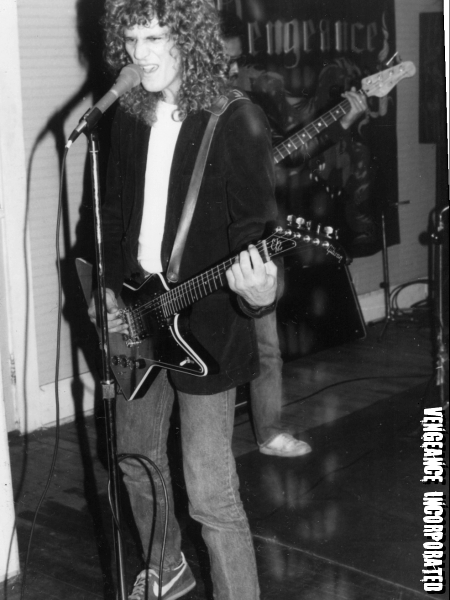 Mike left Screamin’ Weasel, by then called docweaselband, in ’99 and was replaced by former Vengeance lead guitarist Mark Malloy. 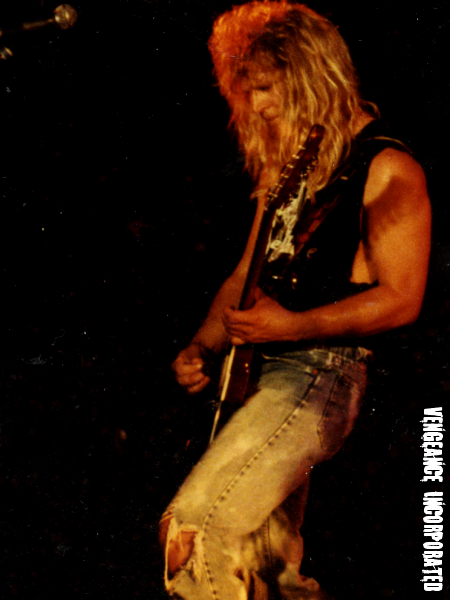 Mike continues to write and play music, but has retired from touring and playing live.